Share the post "Papery Peep March 2016"
It’s Papery Peep! Time for me to share with you my papery world this month, and I have to say, it’s been fairly busy on the paper front. These three were less than a tenner put together. You see, no choice? I did then post this snap on Instagram a couple of weeks back as I was taking a tea break whilst planning my penultimate Open University assignment. I was surrounded by paper and post-it notes! It is now all written and submitted, phew. I’ve received some lovely letters this month, all pretty and newsy, so just perfect. I’ve also taken out a subscription to the BBC History magazine, and I’ve enjoyed reading the first one that arrived last weekend. I’ve read 5 books this month, so still on track. It’s actually felt quite slow, as I read three quickly then the fourth took a while, then I sped through the fifth. I read Gone by Mo Hayder, The Year I Met You by Cecelia Ahern, The Wedding Trap by Tracy Anne Warren, The King’s Daughter by Christie Dickason and The Last Letter From Your Lover by Jojo Moyes. I found the first two to be better than the third and fourth and I really enjoyed my first Jojo Moyes book. I have still managed to resist buying stationery. Of course it helped that I had some as a gift, and received my Happy Paper Club box and National Stationery Week bundle, but even so, I have resisted purchasing! So how about you? 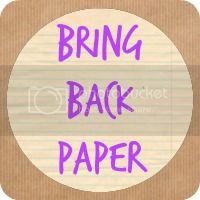 Do share any papery posts here, whether they be books, paper crafts, planners, stationery picks – it all goes. The linky will close at midnight Tuesday 5th April 2016. How’s your month been in paper? Oh, and do pop back next week when I’ll be launching a stationery swap! So many books! Love looking all the covers and thinking what ones I need! Taming of the queen is next on my list for sure I just keep finding other places that need my pennies grr the book next to it looks great too! Thanks! Ah the charity shops do do well with me!